COLD FEET QUILTER-------A journal of an Alaskan Quilter, fiber artist, teacher & Longarm quilter.Life in the Last Frontier. In my last post I made 2 Ravens out of thread. A few of you thought they were crows. I wanted to show you the difference between the 2. This first little video shows the 2 side by side. The Raven is a bigger smarter bird. I have been lucky enough to have some close encounters with Ravens, & I have a real affinity for them. They have a voice like no other bird, & this next video is the only one I could find that captured it. It starts at 5:18 in the video. Enjoy. Very cool-I enjoy our crows so I know that I would love to see the ravens! Thank you, always wondered if there was a differance. Now I will look closer at the black birds (ops maybe a third) I see. Oh! to Dance with a Dolphin! 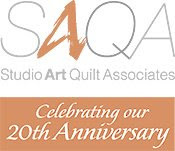 Alaskan since 1982 (born in Michigan), both a Longarm & shortarm quilter, Fiber Artist, fabric addict, painter, dyer, doll maker, needle felter,etc.